Estimating the torsional stiffness has always been the primary issue in analyzing the dynamic characteristics of cycloid gears. The traditional method of obtaining torsional rigidity involves calculating the ratio of the input torque and rotation angle, treating the deformation of cycloid gear as a black box. In order to thoroughly understand the rotation angle caused by the local contact deformation of each cycloid pin gear, a Majumdar–Bhushan contact model and the finite element method are combined to express the normal contact stiffness. By multiplying the normal contact stiffness of each pin gear and the arm of normal contact force, the torsional stiffness of the cycloidal pin wheel system can be calculated. Experiments are conducted to establish the relationship between the torsional stiffness and roughness parameters of the machined tooth surface. The effect of input torque on the torsional stiffness has also been analyzed. 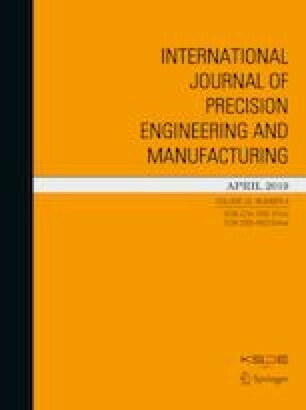 This study formulates a relationship between the torsional stiffness and surface characteristics of cycloid gears, which can help improve their design and manufacture in the future. The authors would like to thank the National Natural Science Fund No. 51575009, Jing-Hua Talents Project of Beijing University of Technology and Beijing Science and Technology Major Project coded D17110400590000 for supporting the research.